Electronic drums have had a hard time escaping the shadow of Roland’s TR line. But that’s no reason to limit yourself, yet again, to another two scoops of vanilla ice cream in your cone. And so, even with an increasingly crowded Eurorack modular scene, it’s worth applauding the entry of the mad scientists of Bastl Instruments in the Czech Republic. They’ve got a number of new modules that are weird and wonderful, inspired yet again by the legacy of a nearly-forgotten electronic pioneer of the Communist-dominated 70s, Standa Filip. And while you may have spotted their debut in the market, I think the drum modules steal the show. First, let’s enjoy some actual, beautiful music. 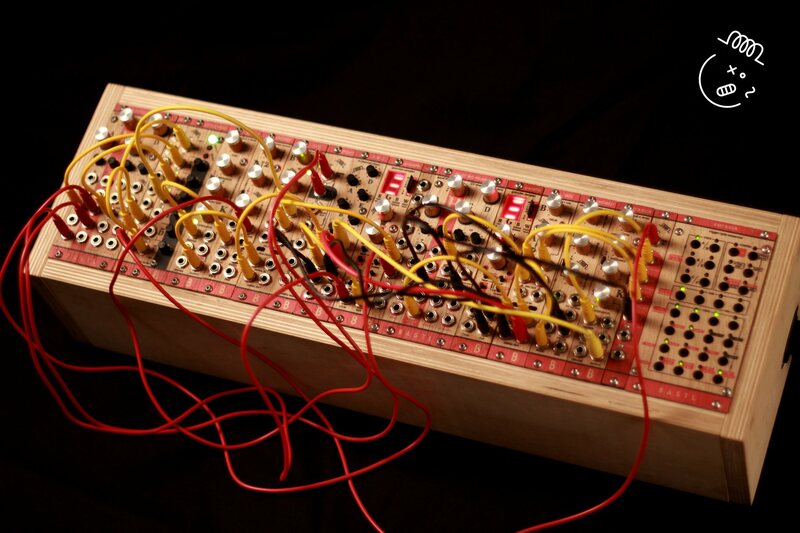 HRTL got his hands on a 95HP rack of Bastl goodies, rustic wooden panels and all. The music is dynamic and live, urgent in a way that can only come from not-too-perfect improvisation, lush and lo-fi all at once. It’s also a nice antidote to “look how much gear I bought” rigs and (uh, yes, I’ve gotten into this trap) modular patches that loop endlessly and don’t stop augh make that bleeping pattern quit it’s going to drive my head out of my skull. Some back story: the boys of Bastl have been roaming Europe giving workshops, making odd orchestras of electronic sounds (often with first-timers soldering and playing along), and championing Filip’s work. 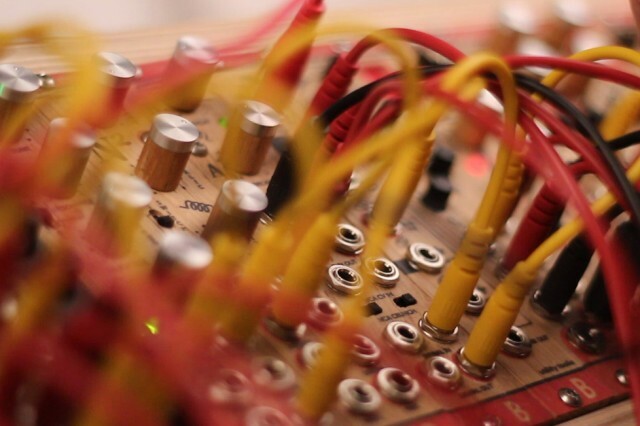 They began with their open source Standuino line, then followed up with a new line of standalone instruments and kits, now adding modular to the mix. I first met them when they hitchhiked from their hometown Brno, Czech to Amsterdam and STEIM at an event we were hosting there. That was all before the Eurorack fever had reached full pitch. 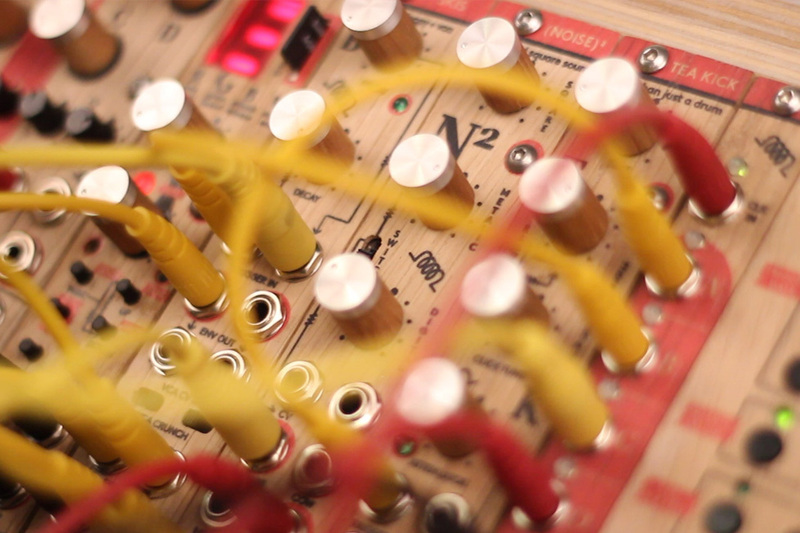 Now seems a perfect time for their offbeat, hand-built electronics. Some of the modules will seem familiar. There’s some granular sampler action – definite highlight. There are loads of useful modules for routing. All come a la carte. Why? Well, because you’ll immediately hear some sounds you might use instrumentally. Tea Kick is a unique-sounding kick with loads of modulation. Add in the other two, and you’ve got some bass lines and drums in no time, in ways that appeal to human beings. See video at top. Okay, and here they get weird and wacky and … spaghetti. It’s all beautiful stuff, though. We’ll get to see them in person at Musikmesse in Frankfurt – and hopefully can visit Brno soon. Prices are … ridiculously low, starting at 25€ and maxing out at 230€. Quattro Figaro is a very reasonable 164€ and Tea Kick will set you back just 90€. Do the conversion rate, America; you’ll be happy at the moment. Full systems coming. Stay tuned for more.